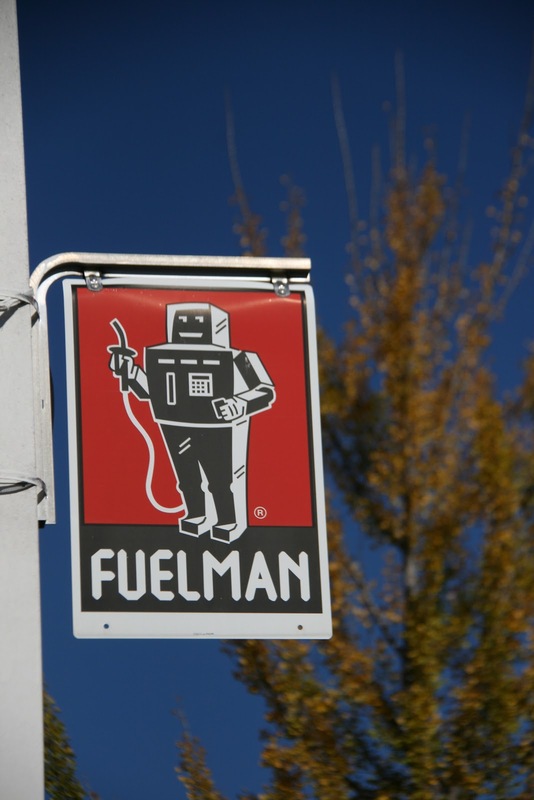 This sign, which seemed to be vintage is hanging on Highland Avenue at a gas station. I tried to Google more information and found a similar sign for auction for a pretty hefty price here. Regardless, I thought it was a pretty cool sky with the blue sky behind it. Last Thursday morning I met my friend , mentor, and marvelous photographer Doug Stocks, for coffee at O'Henry's coffee shop in downtown Homewood. Doug and I had some catching up to do. He'd been to his beloved England last November, and I'd been to my beloved.......well you know! It was a chilly and very rainy morning but we spent a delightful hour together talking travels and of course photography. Before I left, I snapped this wall of beans. I loved poking around First Presbyterian Church. The balcony level was pretty special. Look what I found. Gilchrist in Mt. Brook Village is hopping during the day. It's always full of breakfast and lunch customers and the after school kids. They started out as a drugstore many years ago, but now it's just their soda fountain that keeps them busy. Their freshly squeezed limeades are what they are known for and I'm pretty sure they still have the old fashioned milkshake machines. A Tiny Kingdom in Mt. Brook Village has it all figured out. 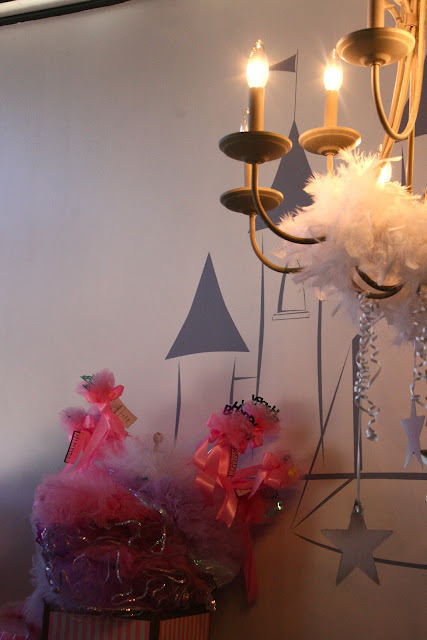 They offer party space for boys and girls as well as all the trappings. Need a tutu or crown? Star Wars paraphernalia? They have it and much, much more! One of Mt. Brook's finest giving the truck the final once over. 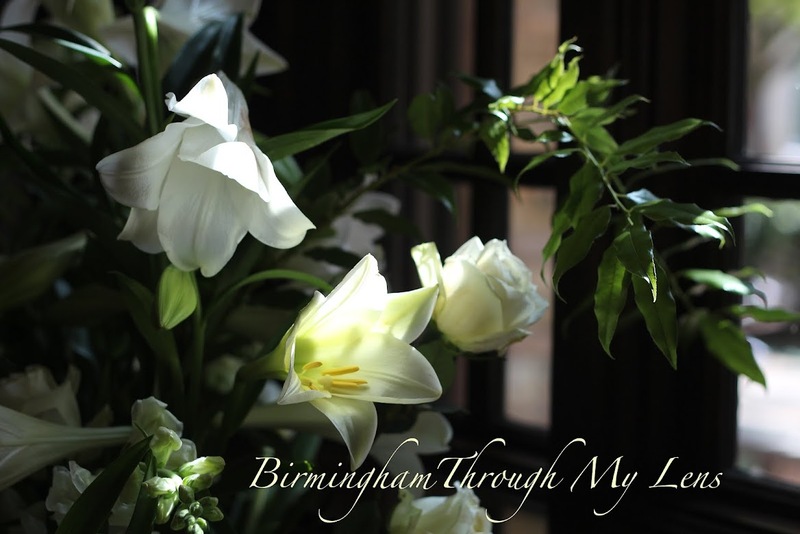 My mission through this blog has always been to highlight the good people of Birmingham doing good things. Space One Eleven fills that bill. I was recently there for another event that I will highlight later, but had a look around this gallery filled with the wonderful art created by Birmingham's youth. 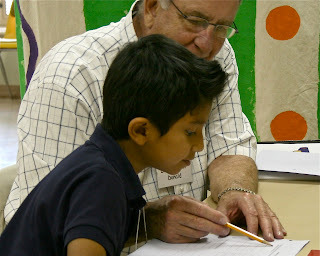 The very ones that need the creative experiences that Space One Eleven offers. Key to the philosophic foundation of Space One Eleven is the belief that art is where you find it, whether from a Birmingham artist, a nationally recognized artist or a creative youth in a local Birmingham neighborhood. Art is informed by place, time, and experience. 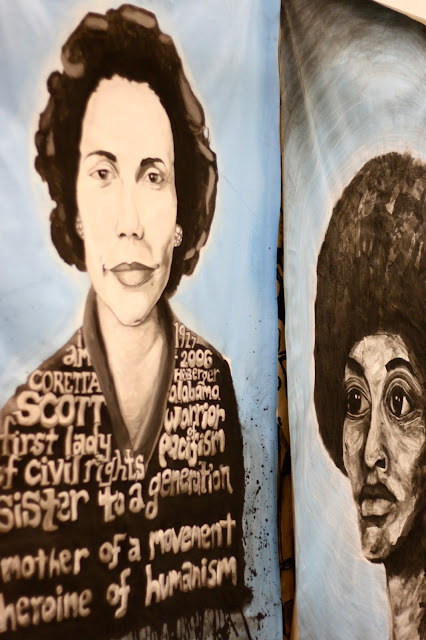 Run by artists, formed by place, and celebrating cutting-edge art that stretches the imagination, SOE incorporates these principles into all of our programs as we deal with art, community and public discourse. 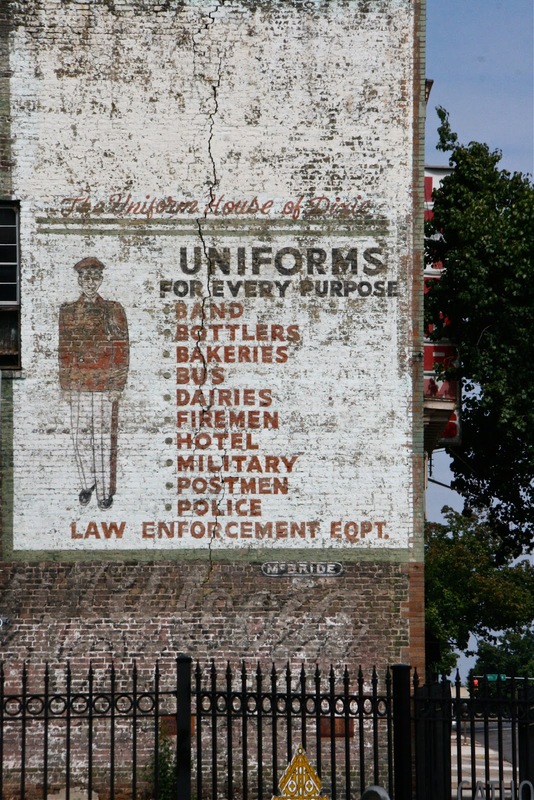 I posted a "ghost sign" last week here and I so enjoyed the comments from those of you that like to find them in your cities and from those that, like me, just learned the term. 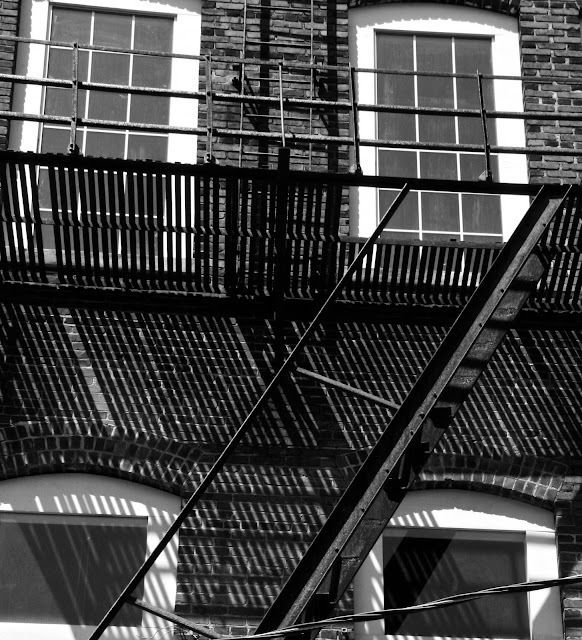 Here's another one from downtown Birmingham, 2nd Avenue if memory serves ( which it doesn't so much any more). Yesterday I had the pleasure of traveling to Jasper, Alabama for a special baptism. 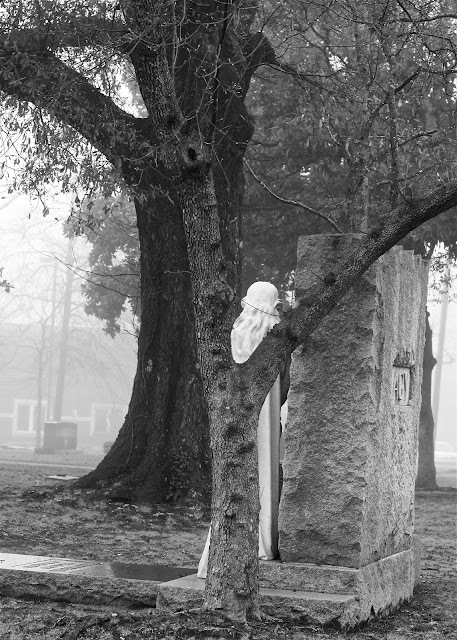 It was a foggy Sunday morning, and we were a little early, so my son-in-law Jason was kind enough to pull over at Oak Hill Cemetery (1880's) cemetery and humor me! Shortly before I left for Paris, I joined some good friends for drinks at The Club atop Red Mountain. Of course I took my camera because the view from the terrace can't be beat! Lem Motlow, Jack Daniel's nephew had one of his distilleries right here in B'ham. This downtown "ghost sign" on the corner at 2nd Avenue North seems to be in good condition. I'm glad my city is preserving these signs! A ghost sign is an old hand-painted advertising signage that has been preserved on a building for an extended period of time. The signage may be kept for its nostalgic appeal, or simply indifference by the owner. I thank my friend, NY blogger Daryl for tipping me off to the term when she visited me here last summer. Now I'm on the prowl for more! 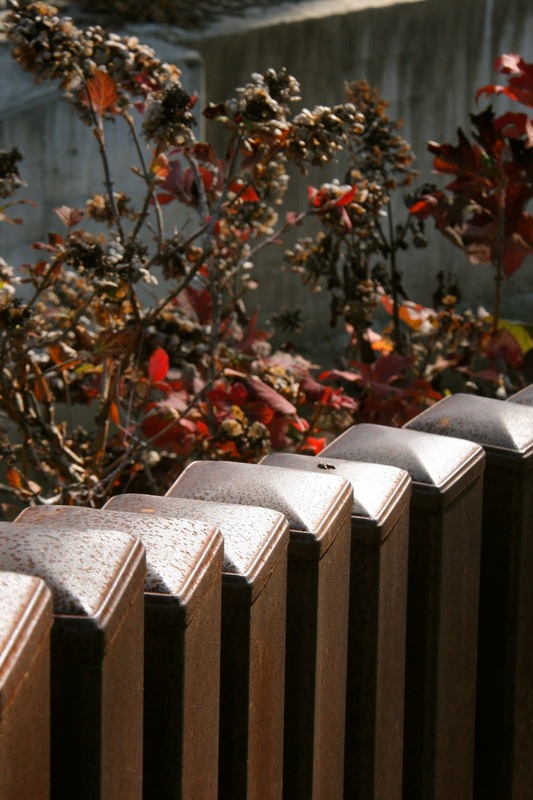 When Homewood did a major renovation on their main park on Central Avenue, they chose metal posts that "undulate" and have taken on a lovely patina. I feature them HERE but liked this closeup as well, with the oakleaf hydrangeas in the background. 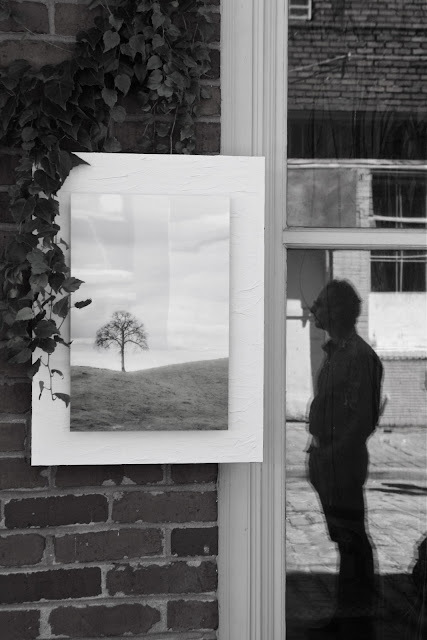 My friend and talented Birmingham photographer Karim Shamsi Basha reflected in a doorway at Art Walk last fall. I was taking a class from Karim, and as we wandered Morris Avenue in search of photographs, I caught the photographer himself! This is the third in my series. If you've not followed the previous posts, click HERE and Here. 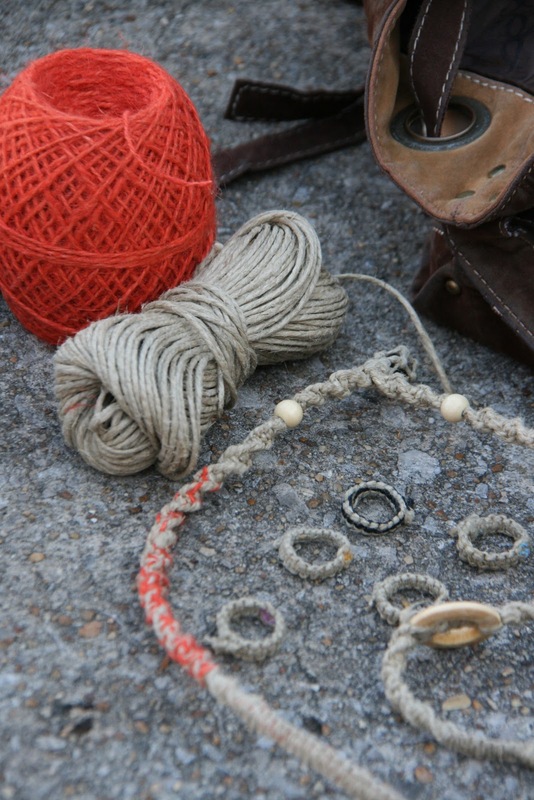 This young man was braiding bracelets and rings from balls of twine to sell on the street. My friends on Facebook have enjoyed seeing my Meeps as she has "willingly" modeled a growing number of my scarves and a few necklaces as well. It all started when I shared the Youtube video, 25 Ways to Wear a Scarf. 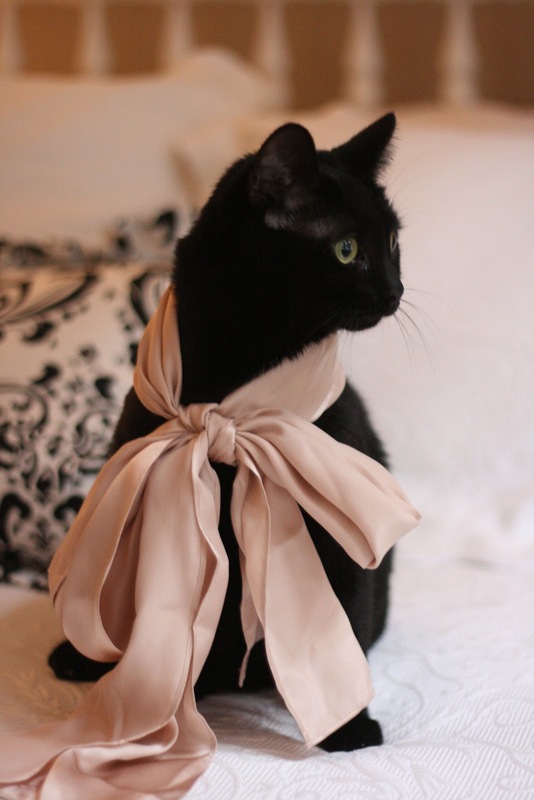 I dressed her up one day and she didn't scratch my eyes out so I have continued to push my luck. There are murmurings about a possible calendar or book. Who knows, she could need an agent before you know it. Today, she models my favorite. My friend Terri Hamilton has been teaching tennis to kiddos for years. She's so positive and enthusiastic, they all love taking from her. 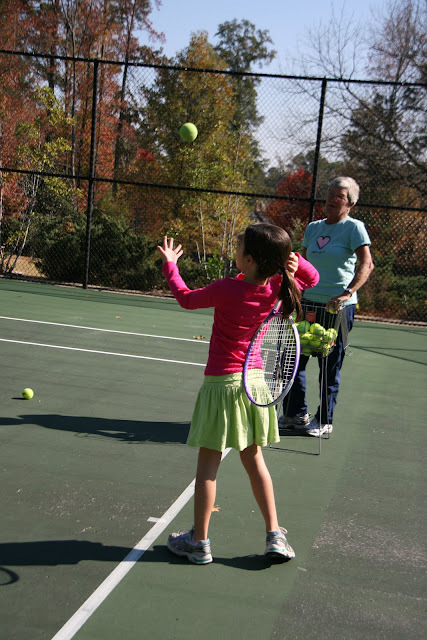 I found her one Saturday morning at the park and tennis courts on Overton Road in Mountain Brook. Her cute student was happy to show me her swing! 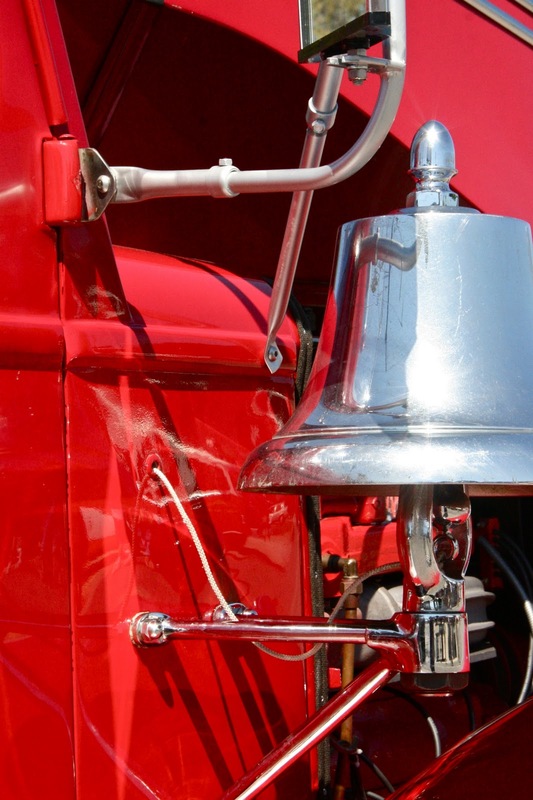 This vintage fire truck has been lovingly restored, right down to the bell! 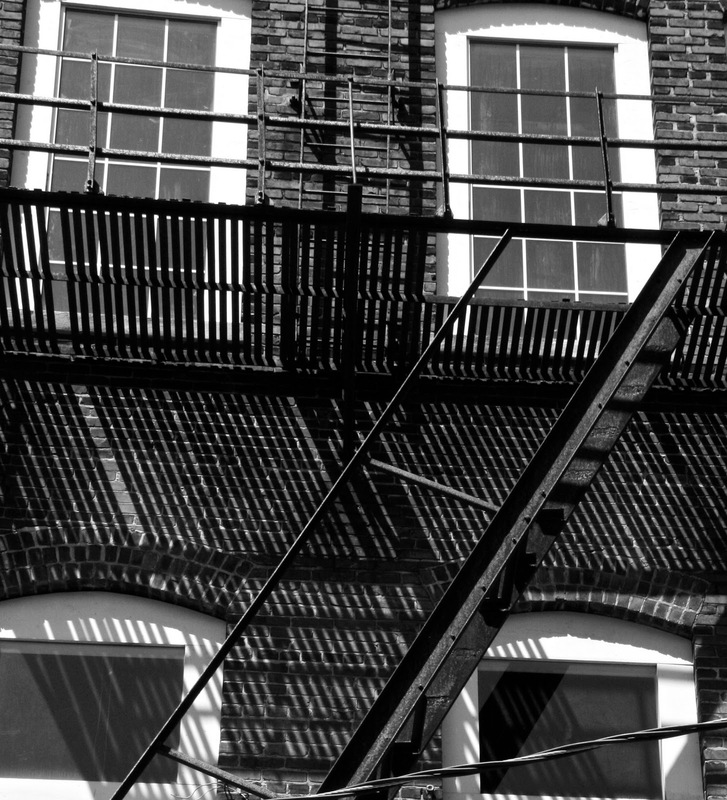 Fire escapes are eye candy! With Legs in the AIr! So this is what the chairs do after hours at Bottega Restaurant! I still remember the Samsonite train case ( a smaller version of the one here) my grandparents bought me as a pre-teen. Zoe's Consignment Shop on Clairmont Avenue won my heart with this display. 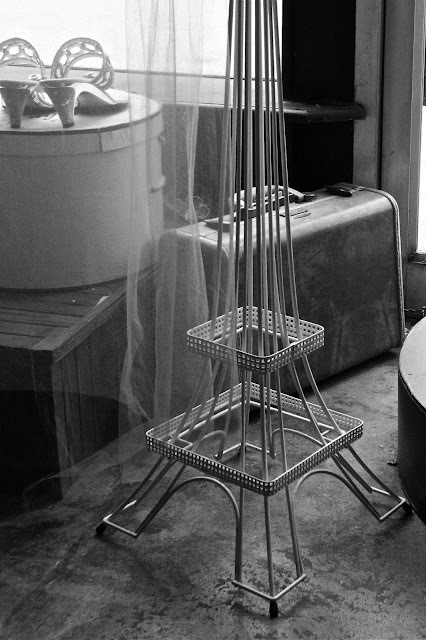 I pack for Paris much lighter now, but back then flying was I think, a lot more special. I have fond memories of my very fashionable mom visiting us in Neenah, Wisconsin in November '71. She got off the plane dressed in a wool coat, heels, and mink pill box! Those were the days! The ceiling of St. Paul's Cathedral, in downtown Birmingham, is a beautiful as any I've seen in France. Obviously these two were pals that traveled together. I'll be honest, I was more afraid of the collar than the dog! See yesterday's post for Part I of this series. About a month ago, my friend Patty and I took a Saturday afternoon to go out for lunch in Five Points South and then we walked around the area looking for photos. We walked up on a small group of men and Patty and I started chatting and she asked, "What are ya'll doing here?". One answered, "We're hobos Ma'am." I'll be honest, I haven't heard that term used since I was in elementary school, and we dressed as hobos for Halloween when we didn't have a costume. 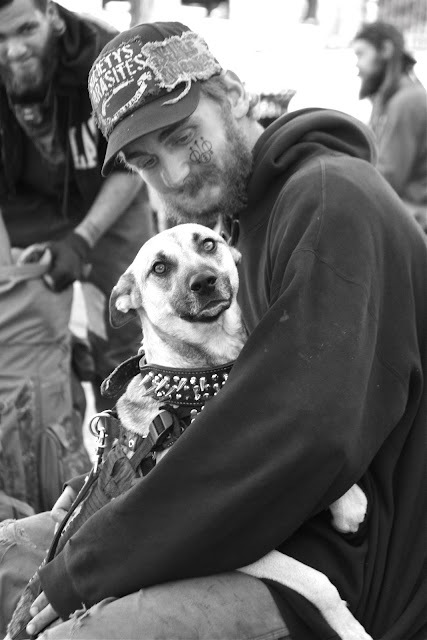 One played his guitar, another cuddle his dog, another made bracelets and rings from twine, while we took their photographs. No one asked us for money. Apparently they move from city to city and it's a way of life that they have chosen. It's not for me to judge their lifestyle. I wish them well. Today is the first of a short series of photographs from that day. You tell me. What are "Old Men's Mags"? I am sure I'll get some really good comments on this one. On the other hand, maybe we don't want to know.... but they were half price! The weatherman says we're getting some sort of "Arctic blast" this week. I think that translates to "winter has finally arrived in Birmingham." 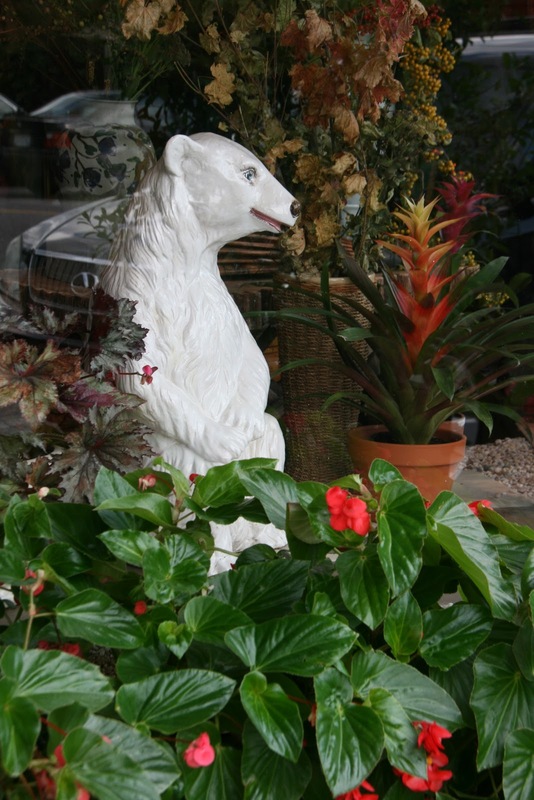 This happy fellow, that hangs out in the window of Mountain Brook Flower Shop most of the year, should be very happy about that! 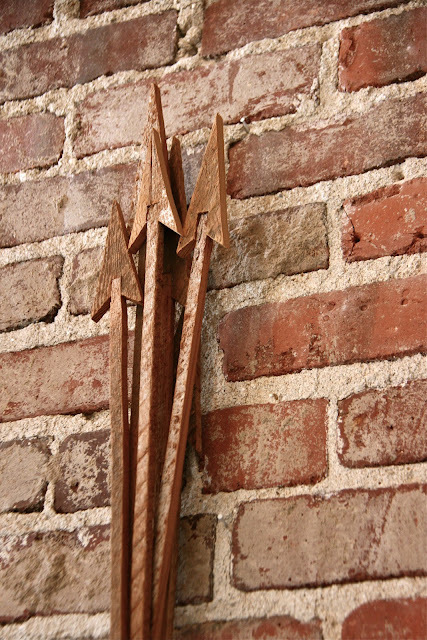 These beautiful handmade arrows, by artist Sara Smith, are crafted from recycled wood. And Sam Cooke has a song for you today right here. at Vino in English Village is a great new place to try. 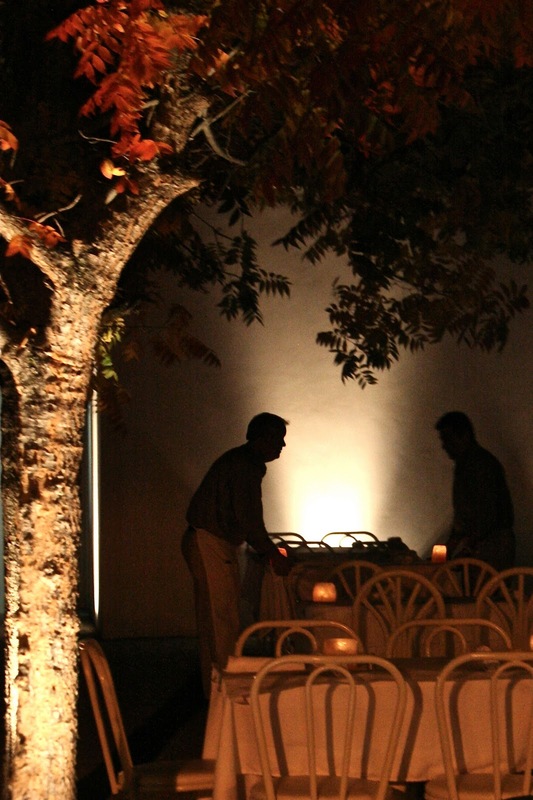 This upscale restaurant and wine bar is owned by veteran Birmingham restauranteur Al Rabiee. 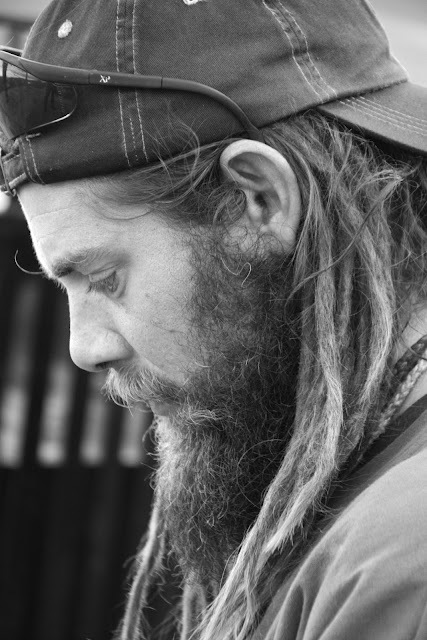 I had the pleasure of chatting with him not long ago and taking some photographs. When I left he brought me a bag of his wife's DIVINE apple fritters. Try them! Lately our weather has been so mild I'm sure they've had the fire pit blazing and patrons have enjoyed their lovely outside seating. and DON'T LET ANYONE RUFFLE YOUR TAIL FEATHERS!